A French Revolutionary general, tactician, and war minister, Schérer was victorious at Loano in 1795 and laid the basis for Bonaparte's first Italian campaign. Born in Alsace, Schérer volunteered for the Austrian Army in 1760 as an infantry kadett (cadet). Wounded at Torgau that November, he rose to lieutenant by 1764. After serving as an aide-de-camp (ADC) from 1770, he resigned in 1775, but joined the French Army as a captain in the Strasbourg Provincial Artillery regiment in April 1780. Permitted to join the Dutch Army in February 1785, he was appointed a major in the Maillebois Legion before becoming an ADC to the Dutch chief of staff from February 1789. 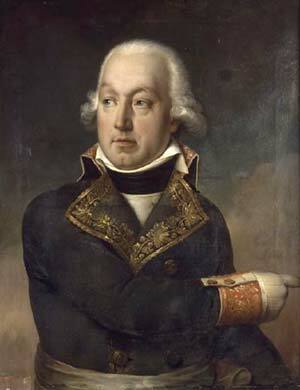 Despite promotion to lieutenant colonel, he resigned in March 1790 and rejoined the French Army. Appointed a captain in the 82nd Infantry regiment in January 1792, he was employed as an ADC by General Jean Etienne de Prez de Crassier in the Armée du Midi from May and then by Alexandre François Marie de Beauharnais in the Armée du Rhin, where he was promoted to chef de bataillon and made a staff adjutant général in July 1793. Promoted to général de brigade that September, Schérer advanced to général de division in January 1794. Transferred to the Armée du Nord in April, he participated in the victory at Mont Palisel on 1 July, before commanding a division in the Armée de Sambre-et-Meuse, which took Landrecies, Quesnoy, Valenciennes, and Condé during July and August. Commanding a division, Schérer led the right wing in the victory at Spiremont on 18 September. He led the Armée d'Italie from November 1794 to May 1795, when he took command of the Armée des Pyrénées Orientales (Eastern Pyrenees). After victory over the Spanish at the river Fluvia on 15 June, he was reappointed commander of the Armée d'Italie in September. His autumn advance brought victory against the Austro-Piedmontese army at Loano on 23-29 November 1795. He resigned, but was only relieved by Bonaparte in March 1796, following which he was appointed inspector of cavalry in the Armée d'Intérieur in June and in the Armée du Rhin-et-Moselle from February 1797. During his tenure as minister of war (July 1797-February 1799), he was widely accused of corruption and drunkenness, until he returned to the Armée d'Italie in March 1799. He was victorious at Pastrengo on 26 March, but was defeated in April by the Austrians at Verona and Magnano. On 26 April, defeat by Field Marshal Alexander Suvorov on the Adige River brought his retirement. 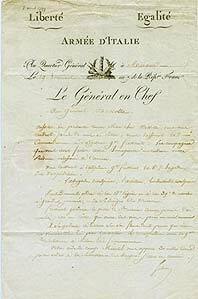 His army instructions, drafted over the winter of 1795-1796, formed the basis of Bonaparte's system in 1796. Following General Jean-Baptiste Kléber, he emphasized attacks in massed battalion columns with bayonets lowered. In line, the infantry would fight in two ranks, supported by small flank columns. Schérer was the first French general to establish a formalized military espionage system, directed by an adjoint (assistant staff officer). Griffith, Paddy. 1998. 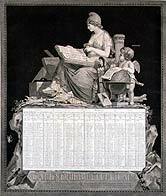 The Art ofWar in Revolutionary France, 1789–1802. London: Greenhill. Six, Georges. 1937. Les générals de la Révolution et l’Empire. Paris: Bordas.